Max Quest : Wrath of Ra ? 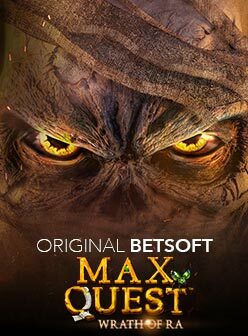 Max Quest: Wrath of Ra is a socially engaging role-playing and action/adventure shooting game from Betsoft where you jostle for position on the leaderboard rewarding customisable cosmetics, achievements, collectable treasures or prizes. When we say role-playing, we truly do mean that you immerse yourself in a different reality within the underground labyrinth of the sun God Ra. You attempt to discover lost treasure guarded by scarabs, mummies and Gods who freely roam the perilous corridors. You compete in rooms of up to 6 players with a customisable avatar, where you then select your adventure. Each player competes for cash and prizes. To play, you simply need to fire bullets at your targets by pointing at the target with your mouse and left clicking. Each bullet is the equivalent of wager which will either kill the target or not. A harmed/damaged enemy rewards you with one or more payouts. The room that you are placed in is determined based on your wager. During play and between game rounds you can purchase additional bullets. There are several common enemies: Scarab Hatchling, Golden Tomb Scrabbler, Ruby Crypt Watcher, Wrapped Minion, Wrapped ShadowGuard, Wrapped SpiritGuard, Tohowy Warrior, Crimson Botoonto and Emerald Botoonto. Special enemies consist of reborn mummies and private events which are randomly occurring, higher volatility targets with a higher potential reward. Reborn mummies are a common enemy that were killed and resurrected. The more shots it takes, the greater the possibility of a payout of up to a maximum of 100x wager. A God Event may be awarded at the end of every round when all enemies have been killed or left the room. It involves a Pharaoh God who moves throughout the room as the lone target for the group to kill collectively. When this is done, players will earn huge treasure rewards for all collectable treasure and cash prizes apportioned according to the number of shots fired during the round and during the God Event. The game features an assortment of weapons: plasma gun, laser, chain gun, grenade and shotgun. You start with a standard weapon but you can earn special weapons along the way. One possibility is by collecting a weapon dropped from the defeated enemy target. The special weapons do not use regular bullets (wagers), so they are equal to free wagers. Each of the weapons is more powerful so they can do more damage. Just how powerful they are, is indicated in the shot strengths statistic depicted by a star. The greater the damage inflicted, the greater the number of stars. For example the standard weapon bullets have a shot strength of one star. The plasma gun is the most powerful weapon with five stars. The laser weapon has a shot strength of four stars. The chain gun also has a shot strength of four stars. The shot gun has a shot strength of three stars. In addition to the shot strength, each weapon has its own area of effect and number of shots. Weapons are not the only thing that enemies can drop when damaged or defeated. This is because they may drop precious and very rare treasures which constitute experience points. Despite not having a monetary value, they increase the player's rank and position on the leaderboard. Each set of enemies defeated, set number of treasures and treasure sets collected is recorded and then used to progress the player through infinite achievements earning additional XP. Top ranking players will be rewarded with special prizes and is determined by the amount of XP earned during the leaderboard period. 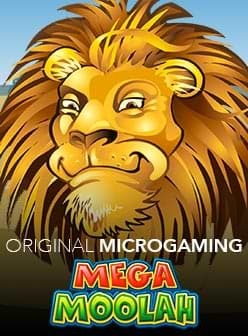 Winnings can range from instant cash prizes, rewards from the leaderboard equal to the equivalent of 2% of all wagers, cosmetic achievements, casino bonuses and visible prizes. Max Quest: Wrath of Ra has an RTP of 96% offering fixed odds and remains a game of chance requiring no skill to play. All things evolve, including slots and it seems that Betsoft may have struck gold in this next evolution of gaming. We invite you to see what the future has in store by visiting one of our recommended casinos.